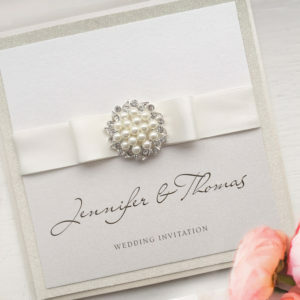 Saying ‘I do’ in the Spring? Then our Songbird Wedding Invite is the perfect choice. 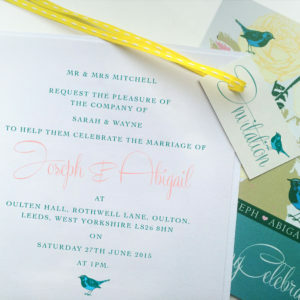 With a lovely garden inspired pattern including your own little songbirds, it’s a beautiful way to tell your loved ones that you’re getting married. 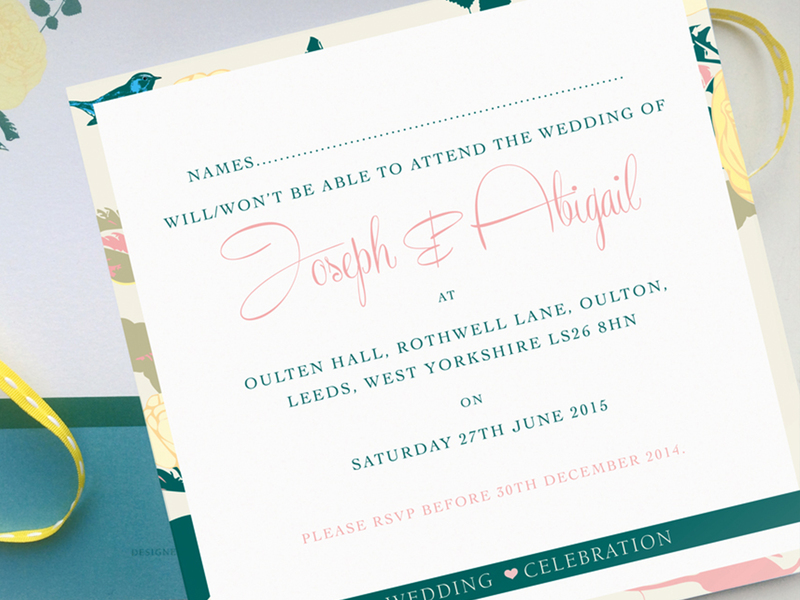 Each wedding invitation comes with a personalised front with the bride and grooms names. 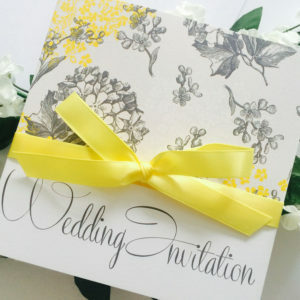 Inside each invite you’ll find a tailor-made innerleaf with all your wedding details, including traditional wedding invite wording and the name your guests. 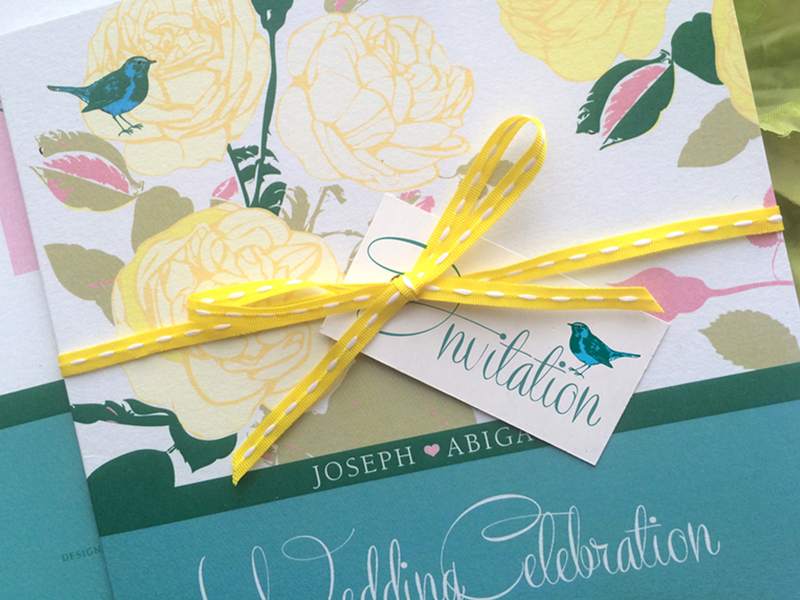 Our Songbird Wedding Invites are finished with a hand-tied ribbon and invitation tab. 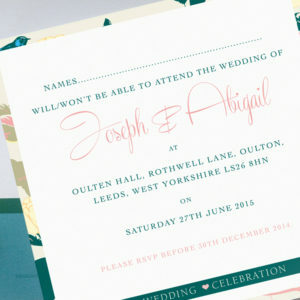 This invite comes in a square 143mm x 143mm size – but if you have a specific size in mind, just let us know and we can amend it to suit. 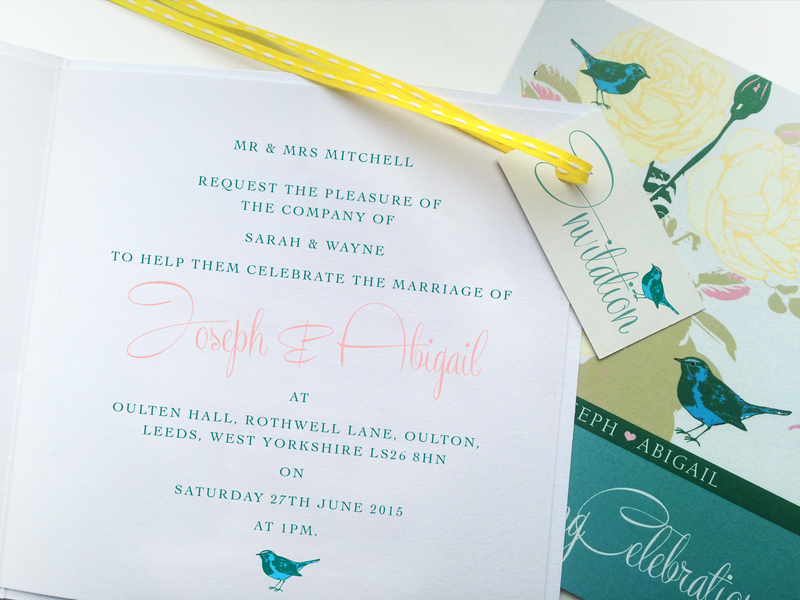 Our Songbird Wedding Invites look lovely in teal and yellow, but we can make them in any colour under the sun. Just let us know what your wedding colours are and we’ll make it happen.